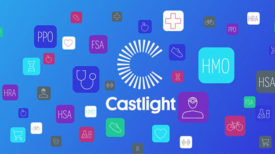 SAN FRANCISCO, July 30, 2018 — Castlight Health, Inc. (NYSE:CSLT), a leading health benefits platform provider, today announced results for its second quarter ended June 30, 2018. Total cash, cash equivalents and marketable securities was $74.5 million as of June 30, 2018. Today, the Company is announcing a restructuring program to align its operations with its evolving business needs. This is also due, in part, to the recent unexpected churn of a large customer. Under this program, the Company intends to reduce operating expenses by 10 to 15 percent. The actions associated with this program are expected to be largely completed by September 30, 2018. The Company expects to take a restructuring charge in the third quarter of 2018, which will be excluded from its full year 2018 non-GAAP operating loss and non-GAAP net loss per share calculation. Castlight Health senior management will host a conference call to discuss its second quarter 2018 results and business outlook today at 2:00 p.m. Pacific Time (5:00 p.m. Eastern Time). A live audio webcast of the conference call, together with detailed financial information, can be accessed through the company’s Investor Relations website at http://ir.castlighthealth.com. An archive of the webcast can also be accessed through the same link. The live conference call can be accessed by dialing (866) 393-4306 and the replay will be available for one week at (855) 859-2056. The conference ID number for the live call and replay is 3899475.